When hungry Charlie goes to his secret banana store, a surprise awaits him. Who has eaten all of Charlie’s bananas? 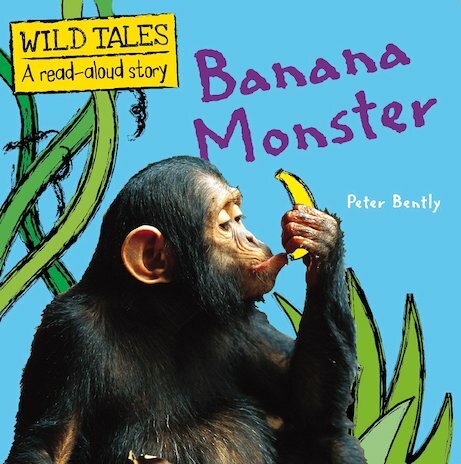 Do you know who the banana monster is? Fiction is fused with stunning wildlife photography in this adorable photo-story following the antics of a young chimpanzee. It combines a funny and original tale pitched at pre-schoolers with beautiful photographic images set against bold graphic backgrounds. Find out all about what Charlie likes to eat as the story unfolds!